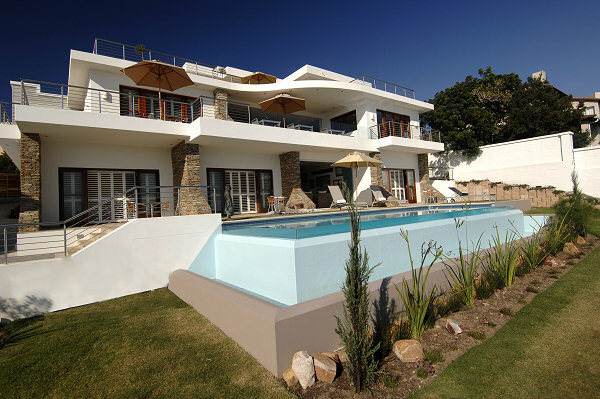 Aquavit Guest House is situated above “Bahia Formosa” (which means beautiful bay), Aquavit has panoramic views of the Tsitsikamma and Outeniqua Mountains and the coastal beaches of Plettenberg Bay, on the Indian Ocean. 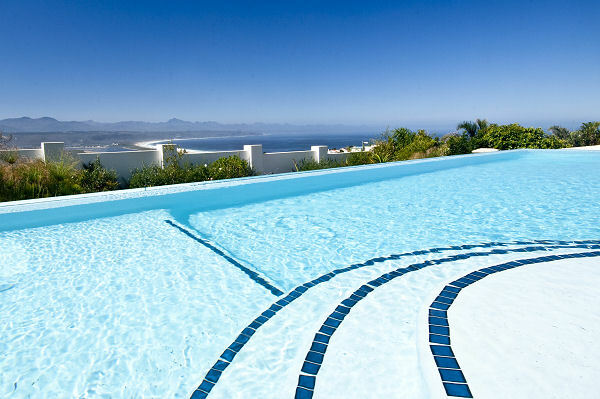 We are situated within minutes of the charming town of Plettenberg Bay, offering beautiful pristine beaches, great shopping and fine restaurants. Our guestrooms boast single, queen and king beds. The Select Comfort mattress will allow you to adjust your comfort preference with your own remote control. A beautiful bathtub awaits you in our luxury king suite with salt crystals to soothe away the stress. Your terrace has an area to relax, within steps of the 10-meter swimming pool and lovely garden, while gazing at the sea and mountains. A full English breakfast is served on the terrace with attention to detail so your breakfast will taste as good as it looks – a perfect start to your day! Linda and Ole Olsen (your hosts) live on the property and welcome you to come see why they decided to move from the United States to build their new guesthouse in Plettenberg Bay. Our entire staff welcomes you, including Beau and Dakota, our loving Golden Retrievers who will also happily greet you upon your arrival. For Guest House accommodation in Cape Town, stay at 17 on Loader Guest House, in the historic de Waterkant Village.